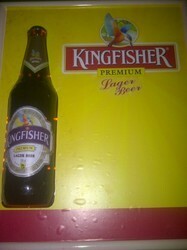 As the name indicates these are the advertising materials which are dangled or hanged with a thread loosely. Both sides of the paper are printed. These are made in various shapes and sizes; sometimes replica of a carton is also made. These are very good promotional materials for consumer goods. We have evolved to be a prominent name in the market for manufacturer and supplier of the durable and affordable range of Quality Dangler. The offered range if endowed with the attractive and innovative designs. The products are totally customized as per the customers' requirements. 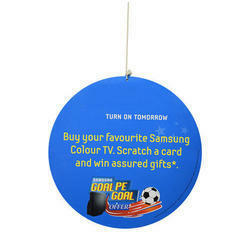 Promotional Paper Danglers are used for promotion and advertising purpose. We are offering Advertising Dangler to our clients.